As you may have guessed, I love peonies! I love growing them, bringing them in from the flower garden to display and even the faux ones are beautiful too. When I want to paint, I choose flowers. But mostly, I think of painting peonies; all sizes, various stages of growth and different colors. 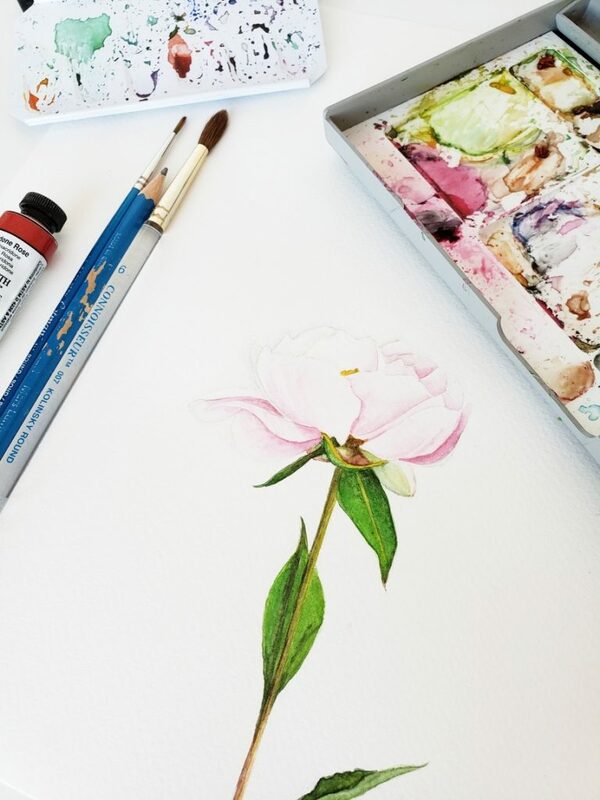 This watercolour peony video was something I wanted to do to show you some of my creative process. So I thought I would challenge myself with a time limit. Drawing the peony went quickly (the pencil sketch took 10 minutes) from a photograph taken a few years ago. 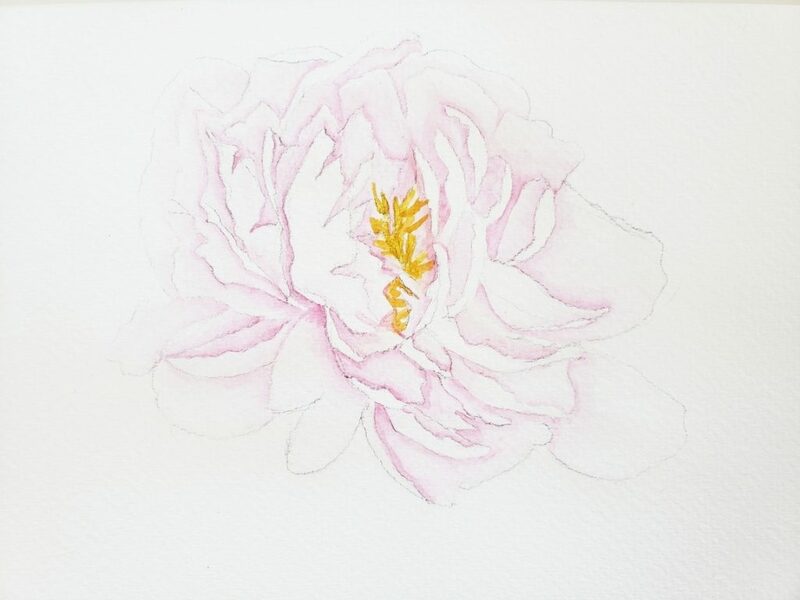 Usually, I like to create all the details but with this peony I was getting too overwhelmed with how much time it was taking, so I scrapped the first draft and came up with the one in this video. 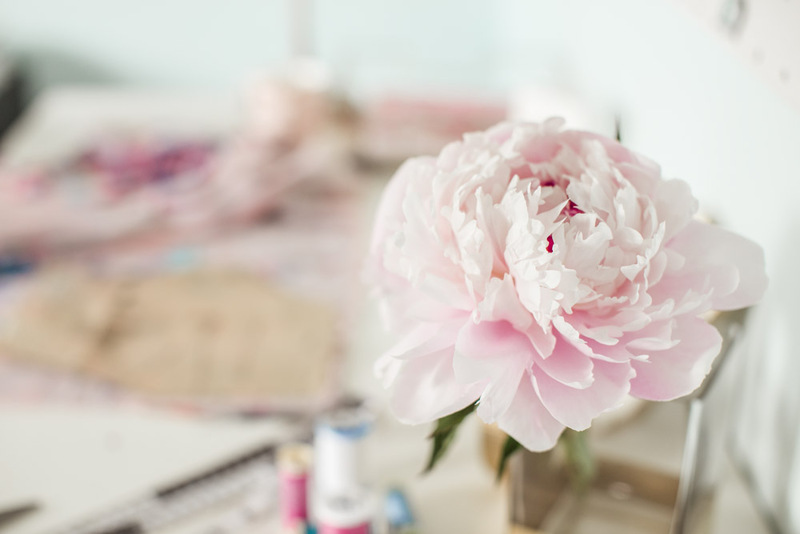 I hope you love following along with this video and are encouraged to try your own peony too. In total, I spend about two hours with this particular painting. I am going to continue to challenge myself to get quicker and less detail oriented. 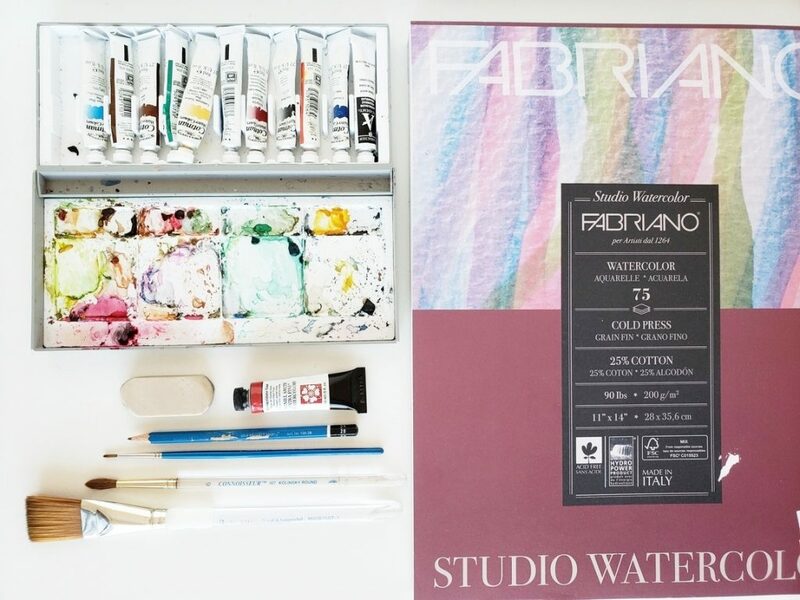 Once you study a particular subject long enough, such as a flower, the curves and lines become easier to paint, even from memory. Of course, lots of practice is key. The peony below is an example of taking hours to get the details just right. If you like what you have seen, please share the love with a comment, share or pin. Thank you!